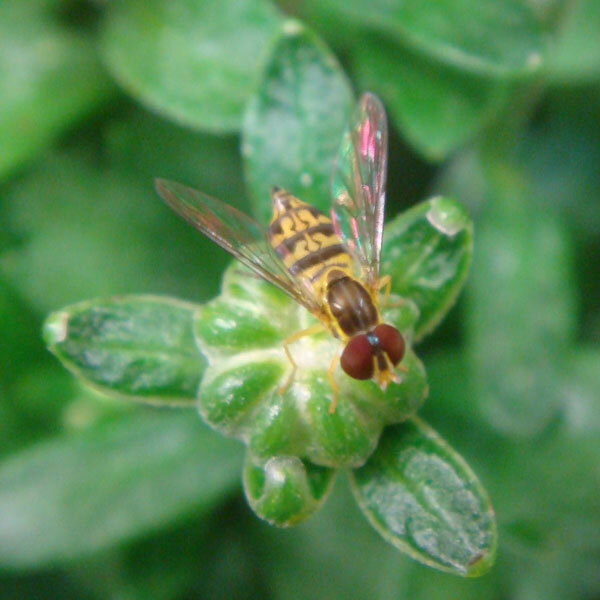 Members of the syrphid family of insects are called "hover flies". Hover flies had me stumped for a while. They looked like a bee but I couldn't find them in any bee identification guide! 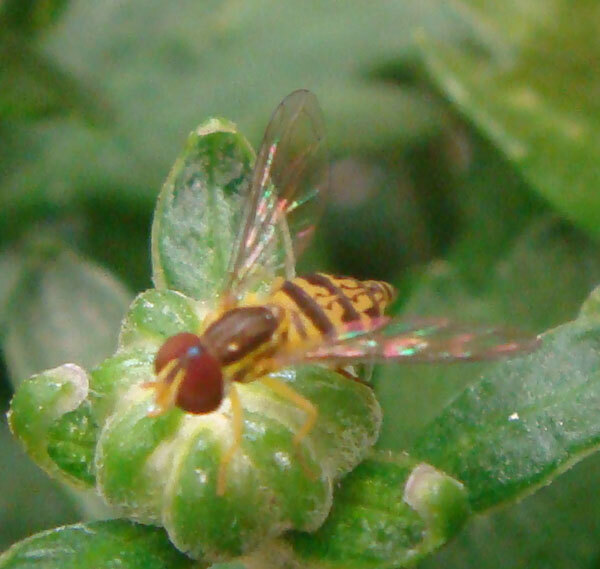 It turns out the hover fly is a fly that LOOKS like a bee to stay safe. It's perfectly harmless. Not only that, but its larvae eat aphids so it is GREAT for being near gardens. 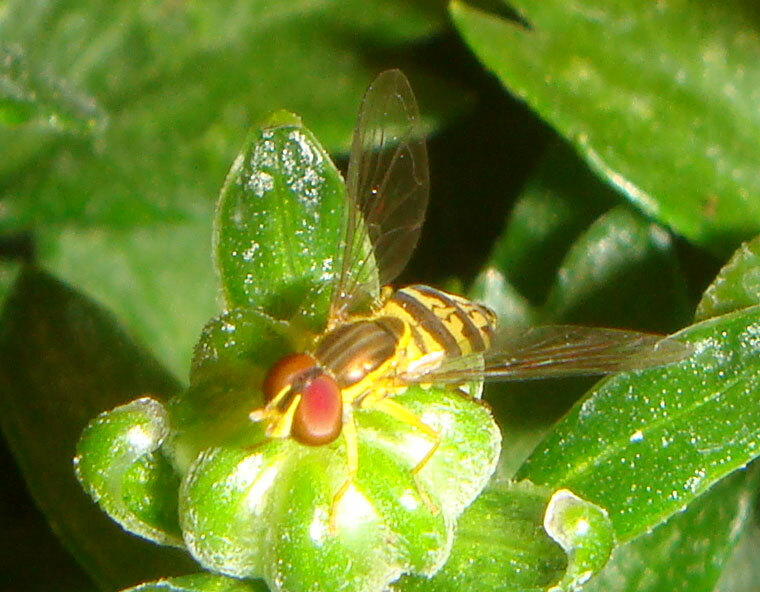 The hover fly has two wings, not four, and its stripes are yellow-and-brown rather than black with thin yellow stripes. It has big brown eyes. Also it has a distinctive keyhole style of marking on its back. 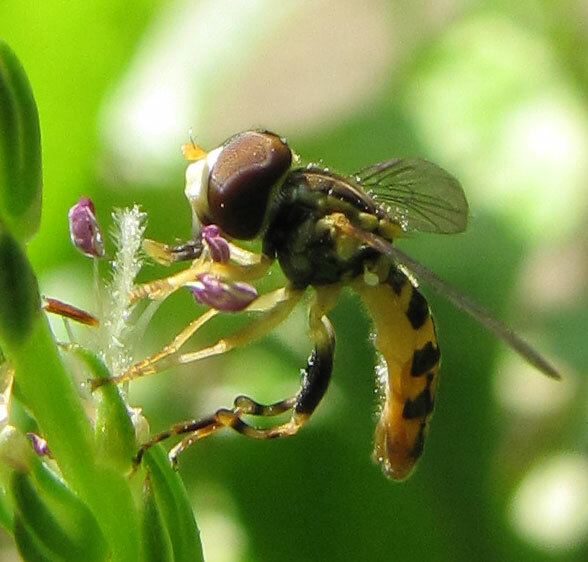 This hover fly's specific name is Toxomerus geminatus. These are found all over New England. This one was seen in our yard on July 17, 2009. It's been verified as a male! 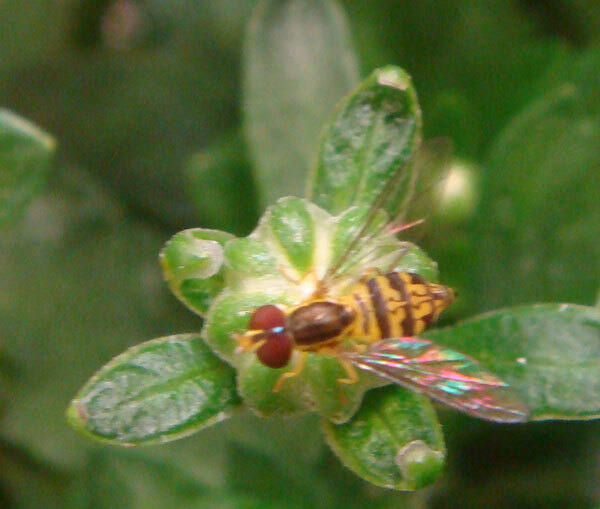 Below is a different individual, still from the Toxomerus geminatus hover fly group. Technically we saw this on some plants we were buying at the home depot in Framingham but since we could have brought it home with us we count it as a Sutton creature.